The ultimate tool for drying and creating beautiful hair, muk Blow 3900-IR 2300 Watt Professional is a blowdryer that dries hair gently and quickly, while infusing it with shine, moisture balance and protection from thermal damage. It utilises revolutionary infrared lights that are imbedded in the dryer’s barrel to infuse a gentle heat deep inside the hair shaft, providing anti frizz and anti static properties. 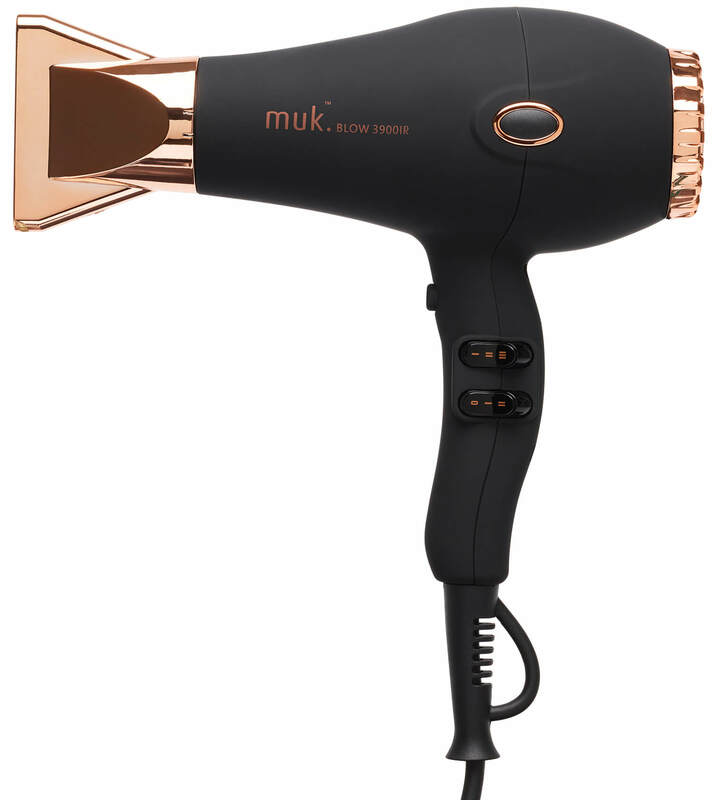 The ultimate tool for drying and creating beautiful hair, muk Blow 3900-IR, 2300 Watt Professional is a blowdryer that dries hair gently and quickly, while infusing it with shine, moisture balance and protection from thermal damage. It utilises revolutionary infrared lights that are imbedded in the dryer’s barrel to infuse a gentle heat deep inside the hair shaft, providing anti frizz and anti static properties. It also features an ionic generator that generates millions of negative ions to infuse shine and protect hair.